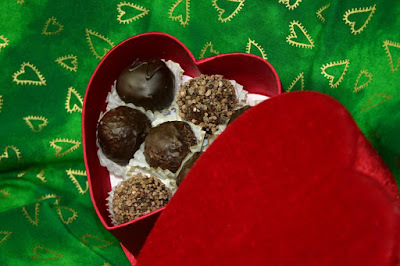 Vegan Truffles in a Velvet Heart Box just like this one, with 7 to 8 vegan tea truffles. and a set of Vegan Chocolate Bars. So, go register to win. 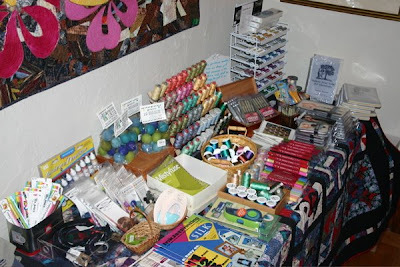 It is time for our annual sale here at the inn. 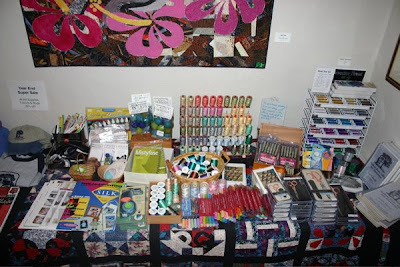 All of the fiber art supplies, books, sketch books, logo t-shirts, and more are on sale for 30% off. Our books are normally 15% of the suggested retail price, but now they are an even better deal at 30% off! Now it the time to get one of these inspiring books. 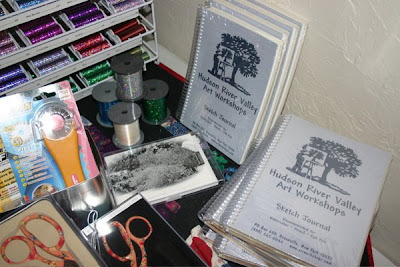 Authors, Rosemary Eichorn and Rayna Gillman have taught workshop for the Hudson River Valley Art Workshops. 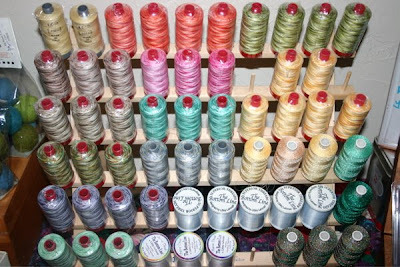 We have some great thread selections. 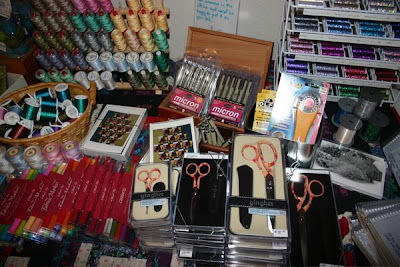 We have some fabulous scissors by Gingher, Micro Pigma Pens (sets and individual), Fabrico Marker sets and Olfa Rotary Pinker. Our watercolor sketch journals (normally $13) are also on sale. 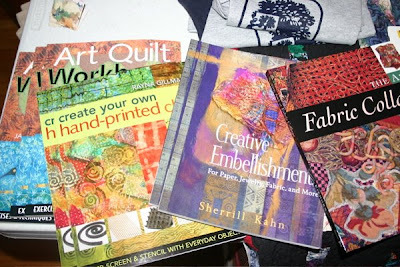 These are great for sketching or any kind of art journaling. 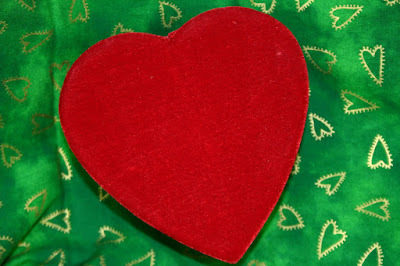 We have them filled with either various colored pages or with white and off-white pages. 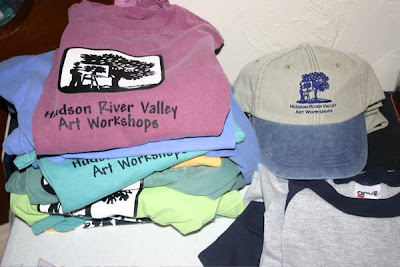 Even our popular Hudson River Valley Art Workshops logo t-shirts and hats are 30% off! 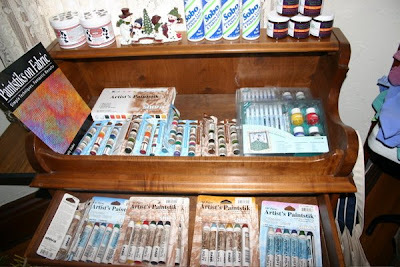 We also have some great sets of Shiva Paintstiks on sale. 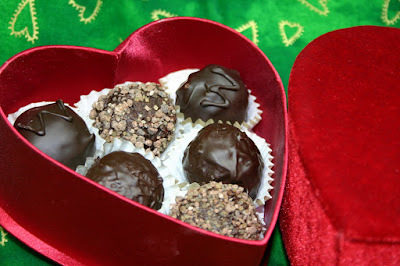 If this wasn’t enough to whet your appetite, Life By Chocolate is also having a sale on all holiday themed chocolates (40% off) and all other chocolates (25% off). 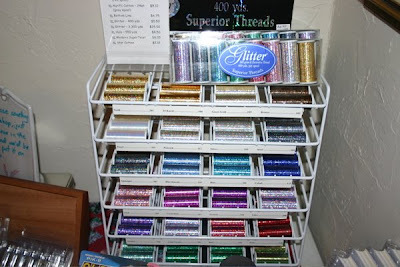 The chocolate sale lasts only until January 18, 2009. So don’t wait for this chance.